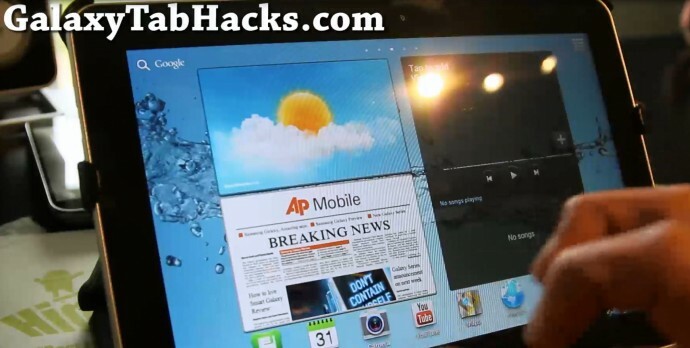 How To Unroot/Update to Official ICS Android 4.0.4 on Galaxy Tab 10.1! 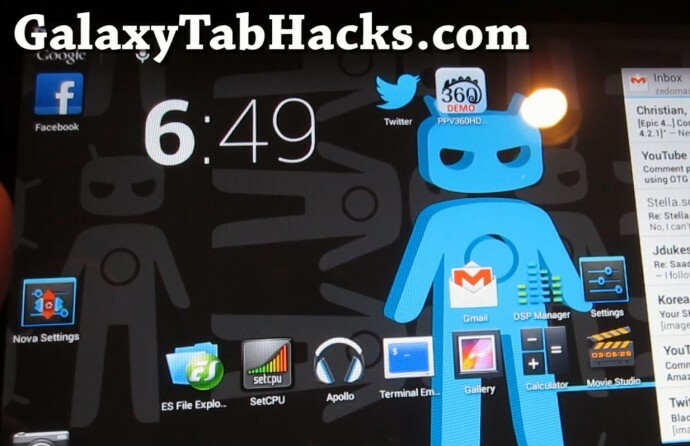 | Galaxy Tab Hacks! 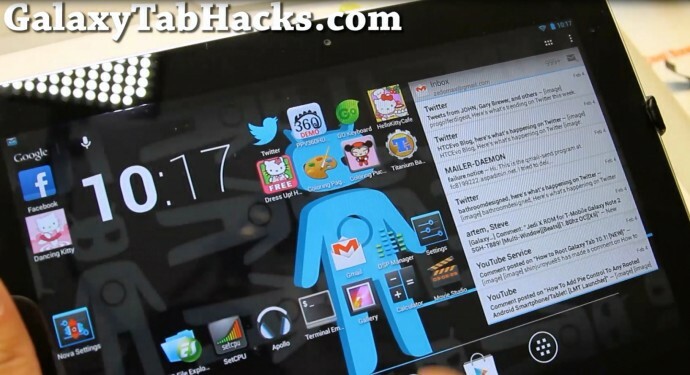 ← How to Unroot Galaxy Tab 10.1! As many of you know, the official ICS Android 4.0.4 for Galaxy Tab 10.1 was pushed out last night. For those of you who have updated, you should be good to go. For those of you on a custom ROM, here’s how to unroot/update your Galaxy Tab 10.1 (P7500 or P7510) to the official ICS. Also you can use this method to update your Galaxy Tab 10.1 on a stock unroot/rooted ROM. If you are on a custom ROM, please MAKE A BACKUP OF EVERYTHING ON YOUR INTERNAL STORAGE, as doing a “Factory reset” (at the end of the video) will erase all contents of your internal storage including photos and videos. If you don’t have Windows, you can use Mobile ODIN PRO (available on Play Store) to unroot/update to official ICS. Categories: Galaxy Tab 10.1 Unroot. 155 Responses to How To Unroot/Update to Official ICS Android 4.0.4 on Galaxy Tab 10.1! Hi… finally… everything is working fine? Camera etc? oh sorry max i’ve just checked you home website and realize that you just made it again! you’re big my man, really big!!! What is the best custom rom for the p7500 with ICS and with a working camera? Ive got a gt-p7510 in the uk, but the ota update option is reporting no update available. Any one got it to work? My tab is gt p7510 from us and when i checked the ofi update it didnt find anything so, just do this metod, its simple just do it like on the video and everything will be fine! Mine too is from the usa. Just updated over the air as now available. Benefit of this method is that it is an upgrade so you dont loose any apps, or settings. Differences seem to be speed, fonts and colours. Wifi reconnection on wake much more reliable too. I have a P7500 tablet and i didn’t install any custom ROM on my tablet and i only rooted it.But now when i check for update it says there is no update.also when i’m in Odin download mode on my tablet it says Current Binary: Samsung Official.Do i have to download this stock ROM for my P7500 to upgrade to Android 4.0.4? No you dont have to go to stock ROM. I came off of galaxy task straight to 4.0.4 with no problems. hey i appreciate your every tutorial,and thanks for the guide and the tricks. i wanted to know if this works for galaxy tab 10.1 P7500 3G version as well. So this version supports camera? And does anyone know how to make backup directly in a penfrive? it went very fine for me on the 3G version ..
however, now the tablet is locked on – i guess – the italian carrier network and i can not use my own simcard ! any solution to that ? Hi, The same has happened to my 3G version it is now sim locked!. Have you managed to remove yours? not yet ! havent had much time since then .. I had to pay for it unlocking to any network again. Called Samsung UK but that was a waste of time. I have read this has happened to a few people, strange why it does it. BTW i used mrunlock to do it. I still think JellyBean (CM10) is smoother and faster, I think I’ll go back to it once the next revision comes out with more functionality. does this JellyBean have camera support ? No it doesnt, i have tried it and really runs fast and smooth but it still has some crashes and no camera, but dont worry, now that the drivers are out theres no doubt that it will come 100% working in a few days/weeks. I cant wait for it! I have one question. Actually I have my Galaxy tab 10.1 Overclocked to 1.4 Ghz. If I Do this, can I keep this overclock or not? I mean, ICS can be overclocked? (Sorry, my english is not good). You can install custom kernel to get OC. Max could you please share a link to an oc kernel 100% working? Hey thanks a lot i will try it when i get home! does it work for sure on ics with working camera and that things? that would be awesomeeeee!!! i have try this . but cnt turn on my tab. it stop on boot screen. It runs fine, but Netflix and some videos are not working/running well. Anyone with the same problem? I dont mean connection, its things like vídeo hanging but áudio and subtitle keep going. same goes here. netflix not running well. it stop after 2-3 mins run. i update the rom from 3.1 task650 . no need to perform factory reset. Thanxz works well for me,pretty smooth and fast..now waiting for the custom ROMS to get in ready with all the features working properly along with the camera..
And for the official jelly bean aswell,coz it is more smooth then ICS, as i found. Appreciate your effort Max, thanxz alot..
One question: can we overclock stock ROM, i mean this one…? Tested this ICS and is awful, dull and slow. Only good thing is working camera. AOKP ICS ROM Milestone 6 is way better. Waiting for AOKP to port camera app to their ROM. Then AOKP will be perfect. Hi, where can I download AOKP milestone 6 for P7500? Is this update suitable only for ROOT device? ye that what i did, and when the device is reset i get only the samsung logo for few minuteand than its reset again and again.. Someone having the same problem? Finally it worked for me!! Even all My file and apps was stored on the tablet. Installed from stock 3.2. Works really well. No need factory reset. Verdict : Totally worth it. UI & performance a lot smoother than honeycomb. Thanks Max for the guidance! can it overcome to 1.4 ghz ? So, does this work with pershoot overclocking kernel? No it doesn’t. I’ve recently tried, and just freeze on the boot. i have try also..it also freeze on the boot. and i try other version ,than i can turn on my tab . …but wifi does not work. but, max say can.waiting for he reply. Yeah i m gonna try it when i get back home i m over at my parents house without my tab but will have an update for overclocking. I tried this update and now it will not boot. When I try to recover I get the recover icon but when I select it the tab just shuts down. Help !!!! Also when I plug into computer it is not recognized. Would you try to overclock ICS and then publish which kernel you use? I had try with Pershoot, but nothing. Just freeze on the boot. An overclock would be great for gaming. Already installing ICS…. manually.. get the file from XDA..
Only got some market problem..
Is it bcuz Im from Indonesia? where ICS official update not start yet? Trying to connect my tab 10.1 to kies (to get ics update) but just keeps saying connecting. Any advice. What is ur country? UK and Italy officially get ice update.. other country soon in august get too.. Excellent, i’ve updated my Galaxy Tab 10.1 Wifi GT-P7510, and everything works, no need to do the factory reset. And after begin it automatically detected to Portuguese-pt-BR. I recommend, much better the sistem, much faster. Thanks. I can’t seem to get my WiFi tether to work with my phone on this ROM. When I scan to try and find an available network on my Galaxy Tab, it does not see my WiFi tether connection on my Sprint 4G LTE. Please advise. This is a re-post because Admin has not replied…I can’t seem to get my WiFi tether to work with my phone on this ROM. When I scan to try and find an available network on my Galaxy Tab, it does not see my WiFi tether connection on my Sprint 4G LTE. Please advise. Hi…It asks me for a password to unzip the file for 7500…?! It was.working.propely with the.old rom but after the upgrade it catch the signal but without any response. To browsing !! Did you flash P7500? If so, try APN settings for 3G. for some reason the APN proxy settings and authentication was changed !! Hey like me.After Update i cant use my MTN sim card internet and i checked anything in APN but i don’t know maybe this update doesn’t support MTN sim cards :).I changed my operator and it works good now.also i had Persian Keyboard on Honeycomb,because this update doesn’t release for Middle East so it doesn’t contain Persian,Arabic,etc… i download GO keyboard with Persian Support. Thanks, the update worked great on my rooted custom rom P7500. Camera works, and lost no data at all. is there another place to download the rom from? Can any of you confirm that the ROM includes Scandinavian keyboards (Danish/Swedish/Norwegian)? The official update is not available from Samsung, in India yet – so this was a godsend! I have gt-p7500 3g running official 3.2 rooted by ur method software. I’m average with this hacking stuff. So plz guide me. I am not sure this hack is good my tab. not sure the 3g will work. And when i check for update software it say no updates. So there is no need to root? just install this rom direct?? Inteesting…. Cuz i dont wana do the update and then the tab wont download from google play. To all who have updated using the P7500 3G plus wifi is it able to download from google play using carrier network? As i rooted my galaxy SII (no regrets) to ics using salmans rom, it works perfectly but i cannot download from google play. Does the update have to be completed through ODIN, or can you do it through CWM recovery (like other zip file ROMS)? I kinda thought that may be the reason, thanks. This new software is magic, been running now for over half an hour and i am loving it. So much smoother interface is great, the problem of downloading from google play is fine, actually its wirking pefectly, tab is much quicker, colours brighter and deeper, i have the P7500 (3G + wifi) and its working on 3G lol i am using it now to post here…..
Max dude you rock, i am sorry i took long to find this page, i thought you only do galaxy S2 phones and have been following you closely and boom found this. tab 10.1 on ICS. ?……… Whatttt……. Yeah thank bro you rock. Anyone with a not rooted tab just install all apps and data remain and it booted one shot lol i think maxes tab was giving errors due to him running a custom rom. Thanks again bro for all your posts and hacks, tips and updates, i done know what i would have done without it…. Max respect. Peace! just one thing, im not getting that effect when i scroll my applications..its just same as before.help, how can i set this up?? can I follow this method to unroot it??? Go ahead straight with that procdures.it works for me.i got gtp7500, rooted.and i just followed the instructions and now im enjoying t tab more than ever.just having problem with the display effect. By the way if I use this method to flash 3.2 is it ok??? Pls reply as fast as you can!! I followed exactly what the video said and reinstalled android 3.2 and unrooted it!!! i want to add kernel to 1.4gHz.is it possible in this rom? ?will it work fine? ?and, how?? SORRY, i cant just wait for more of your vidz…=) its sooooo helpful!! Sorry; both work just perfect. If it doesn’t just install again and again. It should work. Instalei em meu Galaxy Tab 10.1 Wifi GT-P7510 e está perfeito!!!! im not able to downoad multiple apps from the play store.one download and it takes a lot of time, and while its downloading, i cannot browse for other apps. is this the right rom for me ? Did you already flash a rom? Or is your tab just not working properly? For v4.0.4 just downliad using the provided link from max thst reads “stock rom for wifi p7500” also make sure you have a p7500 not ANY other variants. Once download is complete unzip the files, run odin and put ur tab into download mode. Go on odin and hit pda search for the .tar file and select it. Then just hit start. I did that to my tab and its working great… Everything works. any ideas how to unlock it ? I am not too sure, do me a favour, go into stock recovery and wipe data and clear dalvik cache. This is for your tab not network dependent, as long as you have a P7500 that is not network locked but it seems to be us/uk networks that do that. Wait before you do that, the tab works but says “no internet connection” at the bottom of the screen? If yes go into settings and check mobile networks/mobile data check GSM/WCDM settings cuz mine did that once and i figgitted with that and it came right. If you need apns holla and i will mail. it says Authentication failed through the Proxy server !!! Yes you do. I thougt you did not get any signal at all. Your problem is that lack of apns. If you have an android phone or have a friend that does, just download my back up (trial) and back up his apns, zip and send it to your tab, unzip the file into your tab directory reding “rewire” and us my back up to install the apns into your tab. Sorry for the late replay…. Download link doesnt work, any alternate links? Excelent! I’ve done in my Galaxy Tab 10.1″ 3G P7500 and it works perfect! My carrier data is Personal Argentina and after flash to ICS it´s works perfect! worked!!! thanks a lot. best review video i’ve seen of installing the custom rom. Did anyone who id using a non-englidh alphabet language keyboard try this? I mran what if i have an arabic letters keyboard (or arabic support natively) because i bought my tab in the middle east, will i lose this keyboard and arabic support after using such method? Also anyone know when is it officialy coming to places like middle east? I upgraded to ics. I thought everything worked, but sadly not. I was downloading everything via wifi. I cant download anything from the play store via my 3g. Is there anything i can do? I cleared my data and cache and it still not working. Any advice? Hi I’m new here. I just root my galaxy tab 2 gt p5100. But I can’t access my 3G . It say no connection at the bottom of the table. PLS HELP! did anyone of you experience higher battery drain rates after update to ICS? I think my battery discharges faster now, although i’m not 100% sure. But i think drainage is still faster than it used to be before the update..
And i want to unroot but it doesn’t work , i have tried everything on the internet but i can’t get the stock rom for my (belgium ) samsung galaxy tab 10.1 wifi. can u connect via ODIN? You should still be able to. is there a way to root my tab 10.1 with ics stockrom without odin? because my computer and odin doesn’t see my tablet when i connect it. After doing this I can not seem to log in to the play store or add a google account. I keep getting an error either saying process failed or can not establish a secure connection to the server. How can I fix this? Did you do a factory reset? you can use this method, unrooting method also is a method for updating. you rock!!!! was stuck with HC …..the ICS rocks!!!!!!!!!!!!!!!!!!!!!!!!!!!!!!!!!!! !perfect work!!!!! my data was not changed everything is restored. if i do factory reset afterwards is it okay? if i do factory reset afterwards is it okay?im thinking of starting it freshhhh. Hi Max, thank you for this. I was unable to accomplish it though because the recovery file I put on my desktop, but when I go to flash using odin it does not see the file. I assume this is a problem with odin because the file is there. Please help Max! Thank you. Make sure you don’t unzip the file. i have a galaxy tab 10.1 7510 the wifi version , i got this problem i tried to OC changing the kernel A1 well now doesnt came out of the galaxy tab logo ….. i got stock! do you know any method wich i can use to get out that logo? Do you have ICS stock ROM? If not, that might be why it got stuck, if on CM10, simply flash the ROM over without wipe to get the original kernel back. Do I have the ability to wifi tether with my tablet to my rooted phone, if my tablet is not rooted? You do have to root it for wifi tether. Fantastic tutorial. Tablet updated with no need to factory reset. Thank you! I love your website and your tutorials are very easy!!! Can you sure that the above procedure will work for Samsung Galaxy Tab 2 7.0 GT P3100???? Thanks for posting the tutorial. Saved me a lot of frustration. Just wanted to say thanks for your tutorials. Easy to follow, easy to get along with, and you’ve got a great manner with explaining technical stuff in a human way. Thanks! Great video. When i bought my tablet it had this os on it. but i want to put a linux os on it and the videos you have are not for this set up. do you have a video for that or a how to? Thanks. I tried to install the 4.0.4 rom on my samsung galaxy tab 10.1 and since it is stuck on the screen samsung galaxy tab 10.1. somebody could help me? Hey mate your a genious my tab has been stock on 3.0.1 for so long i was thinking id have to buy another one but this worked perfectly thanks heaps bra! The hardest part was finding the ROMs. Thank you for posting GOOD LINKS! and not Malware! I was given a dead/bricked GT 10.1 and now it works!